In the spotlight today is Maureen Floris, Virtual Assistant at Kairos Business Solutions. Time is the most valuable asset we have. We cannot make it go faster, make it slow down or go back and do it over again. How do we spend this valuable asset? Do we really understand it? If you’ve watched the movie ‘The Bucket List’ you’ll have an idea of what I’m talking about. It seems like people who are dealing with an illness are the ones who really ‘get it’. They know how precious our time is here on earth so they make each moment last, taking slow breaths to make it last longer. We may catch glimpses of what it would be like to enjoy each moment when we are on vacation (unless you’re like my sister and her husband who hike for hours, but even they stop at the top of the mountain to catch their breath – literally!) or visiting another country that understands life is not just about getting things done. I experienced this while in Mexico. For them, life is about relationships – family and friends. Everything else is secondary. While this may seem to our North American culture as lazy, I found it refreshing. They had less things but they were less stressed and much happier. So how can we, living here in a culture that demands our constant attention, immediate replies to emails, twitter and phone calls, remember to slow down, breathe and enjoy the moment? While living in a culture that demands our constant attention, immediate replies to emails, twitter and phone calls; how can we remember to slow down, breathe and enjoy the moment? I’m not the first person to ask this, nor will I be the last, but hopefully this will evoke some thought in you to take action – or perhaps inaction, as it were. Also, I won’t pretend I came up with the following suggestion, but I thought it was brilliant and wanted to share it with you. Delete it: Is there something you’re doing over and over again that really is a time waster and not moving you forward in your business (or your life)? Delegate: You may be at that point where you really can’t do all the work. It’s time to think about hiring someone. Hiring a Virtual Assistant is a great option, as she provides expertise in many administrative duties and really does care about your success. Date it: If it needs to get done, schedule it! Give yourself lots of lead time, especially if it’s for a client. In case you are sick or an emergency arises, you don’t want to leave yourself short of time. Do it: What needs to be done now? Stop procrastinating and just do it! Begin your day with your least favorite task. This will allow the rest of the day to be free to do what you love to do. It’s amazing how much better you’ll feel and how much harder you’ll work! Remember this little “joke” from elementary school? 😀 It fit well with my post today because I am sharing some different ways to help you keep track of your time. (Especially if your current ways aren’t working for you.) It is so important to make sure you are keeping track of your time. The first step to efficiently planning any sort of activity (including work) is to know how you are spending your time. 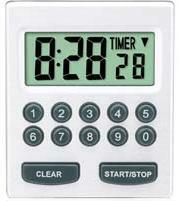 Go down to your local Radio Shack or electronic store and buy a digital timer that you use only for your office. email, and anything else you can think of. I couldn’t find one for Internet Explorer, however, the next timer is the next best option if you prefer IE. Cool Timer is a free download for your PC to clock your time. * If you do download this product, I recommend that you uncheck the installation for the browser toolbar. Zoho’s CRM online service is free for up to 3 users, and offer very affordable month subscriptions for larger teams. You can create contacts and log calls, tasks, etc. You can also check out Google Sites if you would like to try another robust project management system. 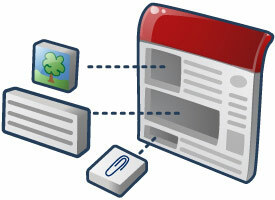 All you have to do is create a new site and choose the project management template. Last week I posted a poll to find out how many years of experience our readers have in virtual business. We were pleasantly surprised to find out that we have a very good mix of fresh newcomers and seasoned veterans who read our blog. As any experienced virtual assistant will tell you, in the beginning, time will be your greatest asset. So remember that your time is very valuable, and you must learn early to keep track of it. Many of the tools I have shared with you today are free or offer free trials. Remember that free is only a place to start. As your business grows and your time becomes more scarce, invest in quality products and services that save you time so you can focus on your customers. Working from home is a decision made more out of necessity these days than a luxury or convenience. However, the same rules still apply when it comes to professionalism. Just because you are working from home doesn’t mean you can be lackadaisical about your work, nor does it mean you should hole yourself off completely from the rest of the world in order to get client projects done. So let’s be honest with ourselves. We all wear additional hats during the day along with our wonderful VA one. The conflict comes in when other distractions in our lives interrupt our workflow. So how on earth can we ever get focused, much less, stay focused? Well, I’ve found some wonderfully simple tips that I would like to share with you. Start working at the same time – Treat your work-at-home business as if you were still in a traditional office environment. Establishing a set start and stop time for work will not only inform your clients of your availability, but help keep you on task for the day. There will be those days, however, when you may have to start at a later time because of a child’s doctor appointment, or what have you, but consistency is still key, here. Establish a schedule – Whether you are only available pn certain days of the week or certain hours of each day, your schedule should be established. This not only lets your clients know when you are available, but it will help you distinguish between work time and family/play time, thereby establishing a more balanced life. Limit distractions – Yes, this does include neighbors, friends and your adorable kids. In order to have a successful work-at-home business, you do need to set boundaries and that should include when your children/significant other can interrupt you during your set work hours. Plan ahead – Not only do you have to take into account your work schedule, but since you work from home, you need to account from your personal/family’s schedule, as well. This may seem like a daunting task, but I promise you, with a bit of planning, things will start running smoother. Take breaks – Get up from your desk and walk away! Focus on something else for at least 15 minutes to get your eyes and mind readjusted. Take a short walk outside and get some fresh air, it’ll do wonders for your creativity. Focus on objectives – Get clear instructions and timelines from your clients before beginning a project so you know which direction you need to be going and how long a project should take. What tips have you found that work for keeping you focused? We would love to hear them! • I have a standing play date for my son every Thursday. I am going to create a recurring appointment in my Outlook calendar for the next month for this and come rain or shine, I will keep that appointment (that is of course, if my son stays healthy). • My hours of operation are supposed to end by 5:00 pm PST. However, I tend to put certain small tasks off until later in the evening, like sending out daily reports to clients. I am going to create a daily reminder in my calendar that will alert me at 4:30 pm PST each day to start wrapping up all work related tasks and projects. This will not only force me get those reports out on time, but will show my family that I mean business when it comes family time. • When I run my errands throughout the week, I inevitably run into other moms that I know. I say “hello” to be polite, but keep going. I know that if I stop, I’ll get caught up in a conversation that I won’t be able to get out of. My goal here is to not only wave hello, but to acknowledge the person in a way that lets them know that I do want to get together, but not at that particular time. Then call or email them later in the day with some dates/times I do have available for that long overdue chat. I encouraged all of you to come up with, and implement, some of your own policies as well. Now, it’s time to share our results!!! How did you do? I was able to implement 2 out of 3 of the policies I started out with, with no problem. My husband on the other hand, needed a few reminders when it came to the end of my work day. Clients would periodically call after my working hours and I refused to answer the calls, which would force them to leave me a message. My husband thought, “It could be important, you should answer that.” Well, he was partly right. All of my clients and their needs are important. But, so is my time with my family. The one policy that I was not able to fully keep up with was the standing play date for my son. I did put the recurring appointment in my Outlook calendar and like clockwork, the reminder popped up each week. However, the first Thursday of my experiment, my son came down with a really bad cold, so I kept him home. The following Thursday, my son’s play date partner was not able to make it due to prior commitments on her mother’s part. I did however, keep the blocked time on my schedule and my son and I painted pictures together. The third week was a winner! I was able to keep the appointment and met my son’s friend and her mother. The kids had a great time and I was able to catch up with a wonderful girlfriend over some much-needed coffee. The last week, however, was a bust. I ended up scheduling a training session for a client because that was the only time that was available. What I learned from this experiment is that our time is important, not only for business, but for our home life, as well. The days that I was able to keep all my appointments and still follow my policies were the most productive. Not only that, but I was more at ease and didn’t feel pressured for time. So, I am going to keep working on the three policies that I implemented and slowly add more as I go. I also realized that it will take some time before the policies become second nature to me and I will have days that I slip, but that’s okay. It’s the end result that I’m after!